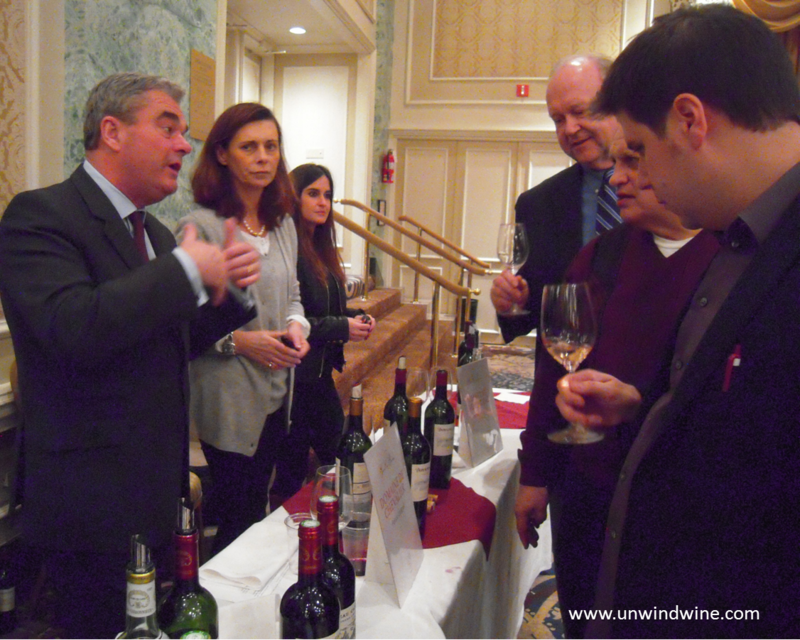 The Union des Grands Crus de Bordeaux, currently on their United States Tour, came to Chicago this week. 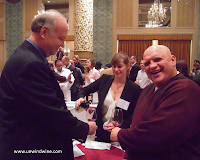 We attended their 2010 vintage release tasting held at the Drake Hotel in the grand ballroom. 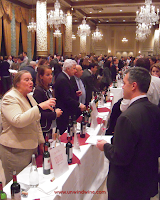 The UGCB, established in 1973, representing over 130 producers, developed and conducts wine-tasting programmes in France and abroad to educate about and promote the reputation and image of the Grands Crus of Bordeaux. This provides an special opportunity to meet the people involved in producing and/or promoting some of our favorite wines. For me, this was extra special to share my passion and this experience with son Ryan, who is developing a keen interest and discriminating palet for fine wine. For those that traveled so far to share with us their artwork, we say Merci et Bienvenue. From January 18-26 the tour visits San Francisco, Los Angeles, Chicago, New York and Washington in the US, and then on to Toronto and Montreal in Canada. About 125 different producers served their wine to the trade during the day and then to a public tasting in the evening event sponsored by Binny's Beverage Depot, the leading wine merchant with over twenty-five stores throughout Chicagoland. 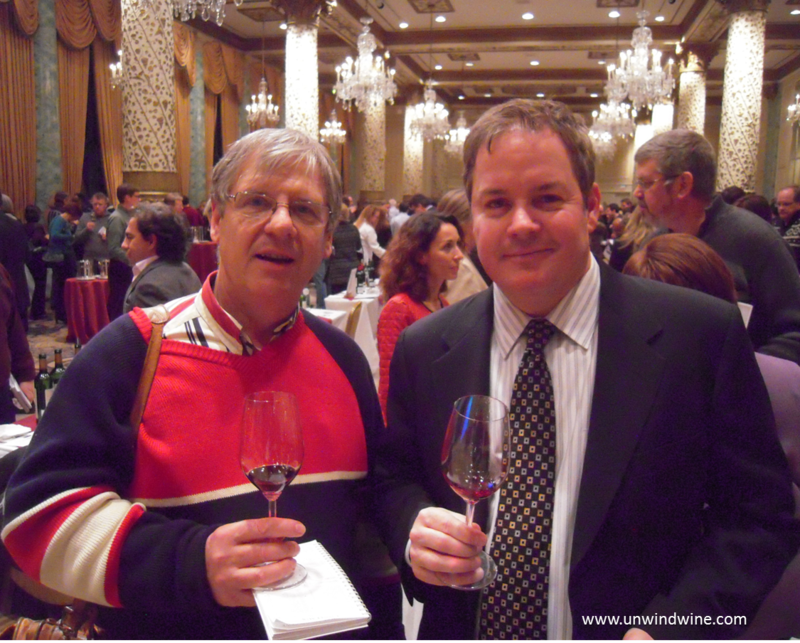 Similar tastings were held in San Francisco, hosted by K&L Wines, in LA by Wally's, New York by Zachy's and in Washington hosted by Pearsons. Our wine group consisted of Dr Dan, Ernie S., Lyle F, #1 son Ryan, Mike S., Mark C and myself. 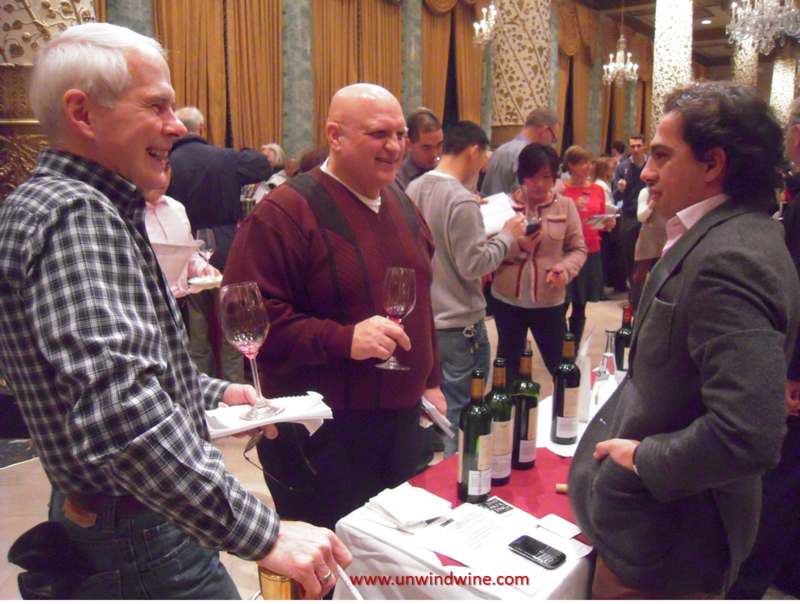 As has become our custom with the Grand Tour and other such gala tasting events, I picked the top wines I wanted to taste ahead of time and then we focused on those twenty-five or so selected wines during the evening. In truth, the evening would have been a success and I would have been happy to taste about ten select targeted wines. For Dan, Ernie and me, the targeted twenty wines represent several of our favorite wines that we hold in our cellars that we collect and hence are most likely to purchase in this vintage release. They also represent wines we know well so that we can appreciate the new release against a historical understanding of the wines going back in some cases forty years to the 1970 vintage release or even earlier. For Ryan, and his friends Mark and Mike, this gathering of a hundred different producers showing one horizontal release, was an excellent opportunity to experience and learn the styles and nuances of terrior of several different Bordeaux appellations and numerous leading producers from across the Bordeaux region. 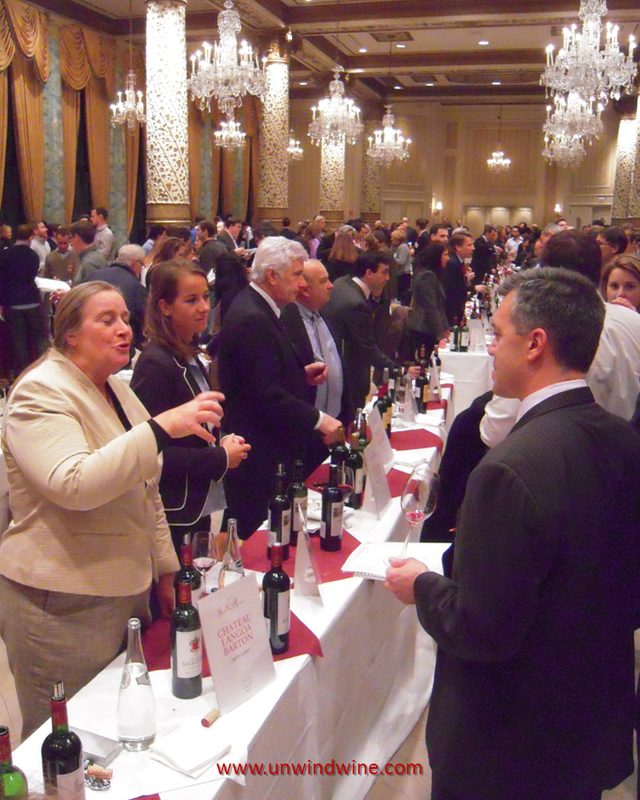 Indeed, thirteen different appellations were represented with more than a dozen different producers representing Margaux, St Emilion and Pessac-Leognan. 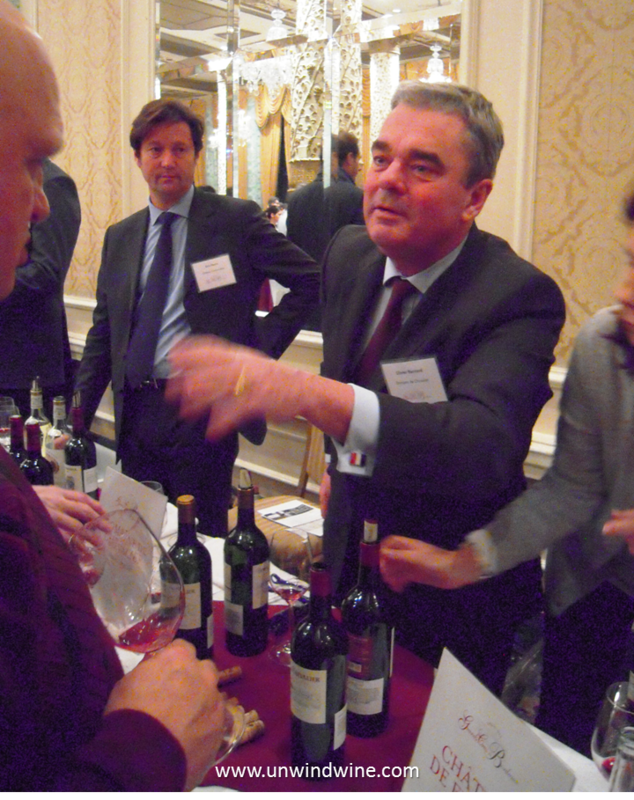 There were at least ten producers from our favorites, St Julien and Pauillac, and another ten from Sauterne & Barsac. Any one of these would represent a horizontal tasting treat worthy of an evening in their own right. The target wines mentioned above are represented by a half dozen different vintages in our cellars in many cases, and by more than a dozen different releases for several, and in some cases, as many as two dozen vintages. One such wine that we hold in abundance is Gruaud Larose which we still hold going back to the 1978 vintage including the years 1981, '82, '83, '85, '86, '88 through '1990 and into the nineties and the new millennium.We also still hold large format bottles of Gruaud Larose 1985 and 1990 for son's Sean and Alec's birthyears. (More on that below). 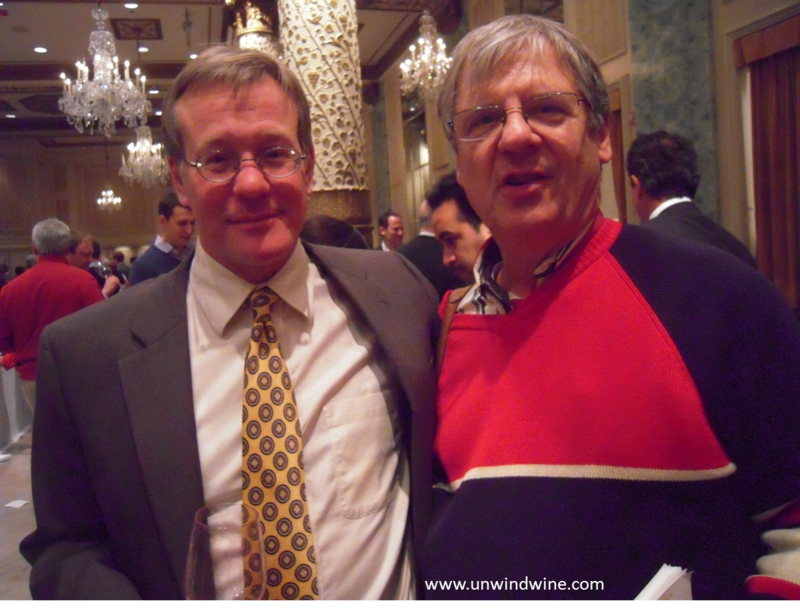 So it was an honor and great fun to meet their winemaker David Launey and taste the new release in his presence. Being so familiar with this wine, we instantly recognized and commented on the change in style, to a vibrant, expressive and especially approachable wine at this young age. Much to the delight of the winemaker, David explained how they changed their technique in recent years to focus on the fruit resulting in a more approachable wine when young, for earlier drinking gratification. 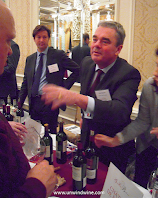 A highlight of the evening was to see Olivier Bernard of Domaine de Chevalier and current President of the UGCB. We've presented his wine at several of our wine group's gatherings including the grand tasting last summer, so we're all familiar with this wine. 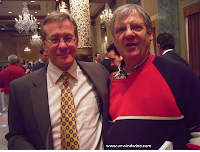 We were fortunate and honored to attend the gala Darioush - Domaine de Chevalier Gala Wine Dinner, a fabulous private dinner hosted by Olivier Berrnard and Darius & Shaptar Kaledi of Darioush Winery at Everest Restaurant in Chicago in the summer of 2004. It was fun to reminisce with him about that evening with him. Olivier shared a fascinating exposition about the significant investment a producer makes in quality corks, and on the importance of properly determining the 'top' and 'bottom' of the cork, thereby inserting the grain of the cork correctly so the proper end is 'wet', exposed to the wine, and the appropriate opposing end is left 'dry', exposed to the air. 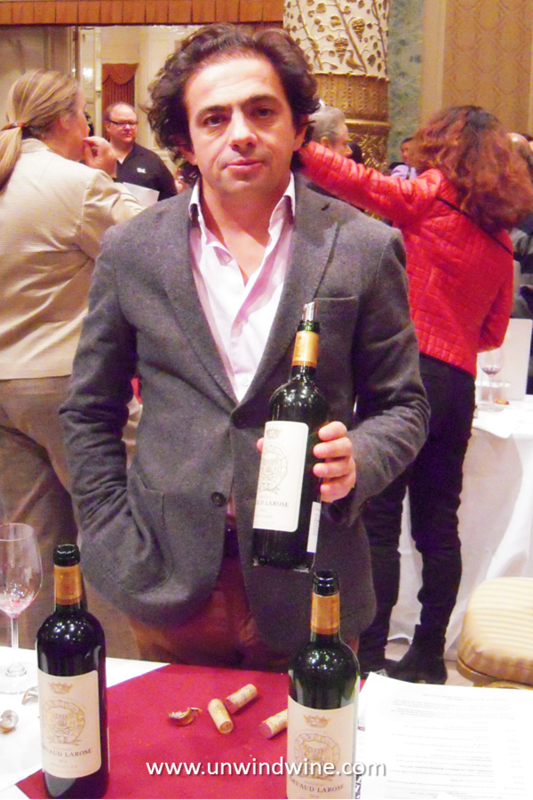 Another highlight was to taste Chateau Figeac St Emilion with son Ryan. This was one of his signature wines that we collected for his birthyear, 1982, which we've tasted together on many occasions including his wedding banquet. .We still hold this selection including large format bottles which we continue to enjoy on special occasions. Our large bottle collection of our kid's birthyear wines was featured in the Collecting section of Wine Spectator Magazine back in June, 2001. It was great fun and an honor to meet several other winemakers and executives of many of our favorite wines, including Nicolas Santier of Chateau Pichon Baron to get his perspective on the 1985 vintage large format Imperial we're still holding in our cellar to commemorate son Sean's birthyear. We had similar discussions about our cellar holdings dating back to the 80's with Gabriel Vialard Technical Director, Winemaker at Chateau Haut Bailly, Veronique Dausse, Managing Director Chateau Phelan Segur, Emeline Borie, who shares ownership and management duties at Grand Puy Lacoste with her father François-Xavier Borie co-owner and winemaker, and Figeac. It was fun to see a strong showing from Chateau Coutet. Ernie got to share our recent tasting experience when he brought a 1959 vintage bottle to our autumn tasting dinner at Dr Dan's. Perennial favorite wines that were excellent, showing exceedingly well and met or exceeded already high expectations were Pichon Lalande and Pichon Baron, from Pauillac, Gruaud Larose from St Julien, and Figeac from St Emilion. The surprise new discovery of the evening was Chateau Clinet from Pomerol. Special honorable mention also goes out to Canon-Le-Gaffeliere St Emilion Grand Cru. 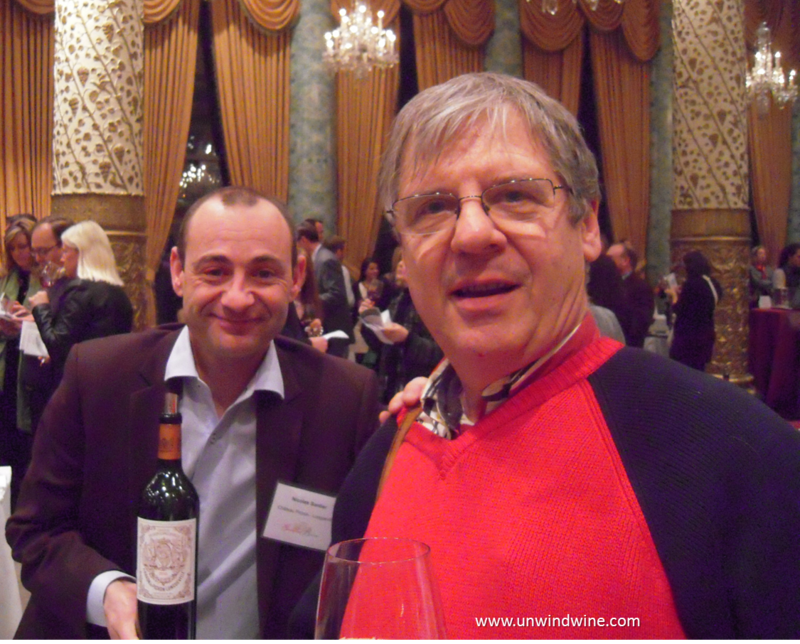 Ernie and Dan both also liked and purchased the Lynch Bages Pauillac. 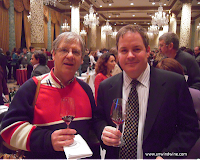 Highlighted wines were standouts with exceptional wines of the evening shown with ..
No shows? Two producers we specifically targeted and sought out that either were not in attendance or we did not find them - Chateau La Conseillante Pomerol and Chateau Larmande St Emilion. 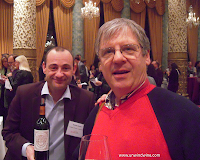 I have fond vivid memories of a case of Chateau La Conseillante 1983 that we enjoyed in the 1980's (before the internet and keeping blog posts or on-line tasting notes). We now realize we drank it too soon, or at the very least, should have saved a couple bottles to enjoy much later in the drinking window. I also remember first trying Chateau Larmande from that era as well. We are currently enjoying the 2005 vintage immensely which is drinking very nicely already. I'll strive to restrain myself and keep a few of these bottles for more mature drinking as we watch this wine age.